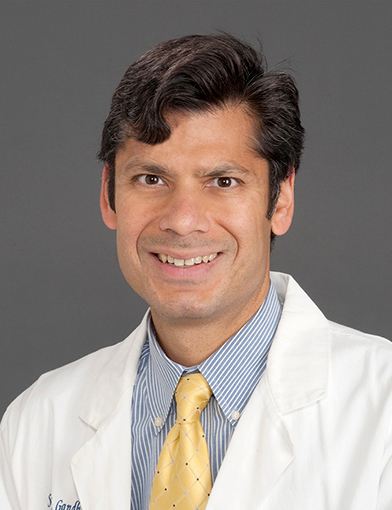 Dr. Sanjay K. Gandhi is a cardiologist at Wake Forest Baptist Medical Center. He is also a professor of cardiology at Wake Forest School of Medicine. January 21, 2019Dr. Gandhi has been my cardiologist for several years. I have the.utmost confidence in his ability to provide excellent care for my medical needs. He is very thorough and listens to my questions and concerns with care and understanding. December 31, 2018Pleased to be under the care of the provider. October 23, 2018I do recommend Dr. Gandhi to any friends or relatives that need heart care. October 22, 2018Very excellent MD. October 17, 2018Dr. Sanjay Gandhi, has my total confidence and is perhaps the best physician I have encountered. August 8, 2018I would recommend Dr. Gandhi to everyone I know. July 31, 2018Dr. Ghandi listened to me which today is rare. July 20, 2018I did not have any bad experience. My visit was very good. June 18, 2018Dr. Gandhi is by far the greatest cardiologist in the country. Dr. Gandhi literally saved my life 8 years ago and I will be forever indebted to him. My family and I will always consider Dr Gandhi a part of our family. He is truly an Angel of God. Wake Forest Baptist Health is very fortunate to have him on your Cadiology staff. May 27, 2018I have had no bad experiences with *Dr. Gandhi's care. He is very thorough and professional and takes time to explains things. May 14, 2018The time spent with the provider was good, the time waiting to be seen was not. Cannot recommend this provider at this time to my friends. April 25, 2018*Dr. Gandhi is the best - long time association for a 94 year old woman. Understanding How Chorea Affects Health-Related Quality of Life in Huntington Disease: An Online Survey of Patients and Caregivers in the United States. Thorley EM, Iyer RG, Wicks P, Curran C, Gandhi SK, Abler V, Anderson KE, Carlozzi NE. Patient. 2018 10; 11(5):547-559. Asymptomatic Pulmonary Artery Aneurysm with a Bicuspid Pulmonic Valve. Prasada S, Gilbert ON, Gandhi SK, Upadhya B, Stacey RB. Tex Heart Inst J. 2018 06; 45(3):190-191. Comparison of paravalvular aortic leak characteristics in the Medtronic CoreValve versus Edwards Sapien Valve: Paravalvular aortic leak characteristics. Gilbert ON, Choi CH, Franzil JL, Caughey M, Qureshi W, Stacey RB, Pu M, Applegate RJ, Gandhi SK, Zhao DXM. Catheter Cardiovasc Interv. 2018 Nov; 92(5):972-980. Long-term opioid users with chronic noncancer pain: Assessment of opioid abuse risk and relationship with healthcare resource use. Coutinho AD, Gandhi K, Fuldeore RM, Landsman-Blumberg PB, Gandhi S. J Opioid Manag. ; 14(2):131-141. Physician perceptions of pharmacologic treatment options for chorea associated with Huntington disease in the United States. Sung VW, Iyer RG, Gandhi SK, Shah-Manek B, DiBonaventura M, Abler V, Claassen DO. Curr Med Res Opin. 2018 Apr; 34(4):643-648.